Nelia Steyn is a business, executive & life coach specializing in relationship coaching, leadership development, leadership communication, team development, and women’s leadership. She is a Deep Coach Certified through the Deep Coaching Institute, an Enneagram based advanced coach training school. Nelia’s coaching approach explores all the constitutive elements of being human: spiritual, cognitive, emotional and somatic. This coaching approach moves to the core of each person’s way of seeing and being in their world and can lead to lasting and meaningful development. The use of proven methodologies in a one-on-one coaching relationship ensures that each coaching candidate receives a unique and personalized coaching experience. The outcome is an individual who has faced personal blockages or tough goals, conquered them and learned the ability to self-generate and self-correct in the future. The process works towards building excellence and moving through transitions to build self-awareness and emotional intelligence. Nelia teaches Enneagram workshops and runs on-going Enneagram groups independently for couples exploring relationship issues using the Enneagram extensively. She helps clients to create deep self-awareness with respect to their own unique gifts and blind spots in order to observe how they show up within their relational field. People leave her programs feeling invigorated and informed with a deeper understanding of themselves and how their behaviors, body, emotions, language/thoughts hold their types in place and are equipped with alternatives to live into a healthier attitude, posture, behavioral and emotional mindset. It enables them to show up in their world as the best version of themselves. Attending to both one’s internal experience and external world, she helps clients attain greater authenticity, wellbeing and effectiveness, especially in environments of rapid change, volatility and ambiguity. She works with executives, couples, teenagers and individuals. 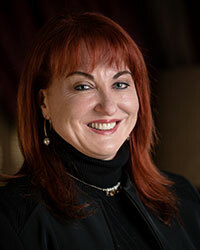 Her executive clients span a broad range of industries including banking, finance, government, technology and education. Motivational & Key Note Speaker at corporate and charity events on various topics e.g. relationships, communication, leadership, women in leadership etc.